Across Africa, from the north of the Sahara to the West African coast sit many relics of the continent’s early interactions with Europe. 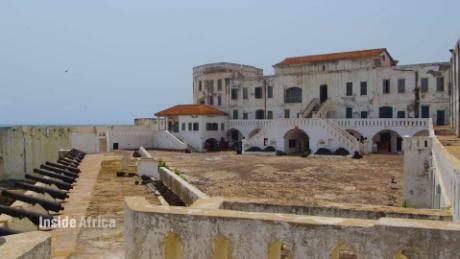 In Ghana, two of the country’s most famous spectacles, Elmina Castle and Cape Coast Castle are truly imposing. But their ancient walls were once home to one of the most tragic and brutal periods in the history of humanity — the transatlantic slave trade. The bigger of the two, Elmina Castle, is a white-washed fortress on the coast of the small town of Elmina in what is now modern-day Ghana. First built in 1482 as a Portuguese trading settlement, the 91,000 sq foot behemoth was one of the principal slave depots in the transatlantic slave trade for more than three centuries. Today, it is a UNESCO World Heritage site that attracts tens of thousands of visitors every year. Alex Afful, a tour guide at the castle, says there are two schools of thought on the inspiration behind the castle’s name. “One believed that the word ‘Elmina’ is an Arabic name, which means ‘harbor.’ One also has it that it’s a Portuguese word meaning, ‘the mine,’ Afful says. When the Portuguese first arrived, their main commodity was gold, Afful explains. “At the rate they were getting it, this made the Portuguese to think or believe that a gold mine is found here,” he says. 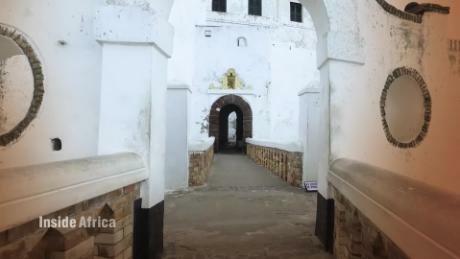 However, when European powers began to invade Africa for slaves, Elmina became an essential stop on the slave route and a prison of sorts for captives. After being tested, the captives were confined to Elmina’s dungeons where conditions were shocking, even by the standards of the time. “…There were no toilets. There were no bathrooms. In some cases, they had straws on the floor, which they used as a mattress and so on,” Afful describes. “In all these dungeons, they were given buckets, which they were expected to ease themselves.” “But because of the conditions they were in, the chains they had on their feet made it almost impossible for them to get to this bucket,” he tells CNN. Captives could spend as long as three months in confinement, awaiting their journey into a dark, and unknown future. As Afful explains, negotiations were concluded before slave ships would carry their human cargo. But in a market where the seller had little control over how each slave could be distinguished, the buyers often felt the need to label their new property, in the most inhumane of ways.  “Now, with the branding, each merchant has its own method of doing it. Some will use alphabet; some will use numbers on the form of a metallic stamp,” Afful describes. “They put it in the fire, already they have some oil on their body (to) prepare them for the journey. So they burn them on the skin,” Branded and subjugated, the captives were led aboard awaiting ships through the Door of No Return. “… when the ship came, they took them in batches through the ‘Door of No Return,’ and they get to the ship, for the journey to proceed from there,” he says. The ‘Door of No Return’ still swings, centuries after, a menacing reminder of the captives’ descent into a life of terror and relentless servitude. “Initially, this door was bigger. But when the slave trade began, it was reduced this way. 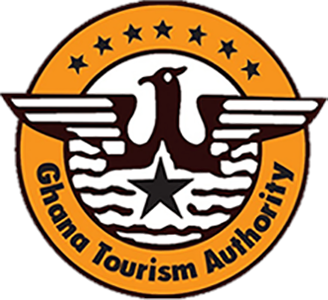 So that one person can come in at a time,” Afful says.The Door, the dungeons where captives were restrained and the walls through which these slaves walked all serve as cues of a story that Africa seems to have confined to the past. It is an approach that Edmund Abaka, Associate Producer of History and International Studies at the University of Miami, believes we must rethink. “We have to move away from the perception that, ‘oh, history is about the past, history is about people who are dead and gone,'” Abaka says. “It is our story. If we don’t tell our story, somebody will tell their story,” he adds. For Bartels, the accounts of Elmina’s past revive a traumatizing story, yet the necessity of hearing these tales is not lost on him. “I can hear the wailing of my ancestors here. The souls that have been lost. … But it’s good to be home,” he says. Today, the town of Elmina is a lively, bustling hub — but the castle towers above it, an essential, yet painful reminder of its past.